Jollibee has a new party theme that your little daughter will surely like. 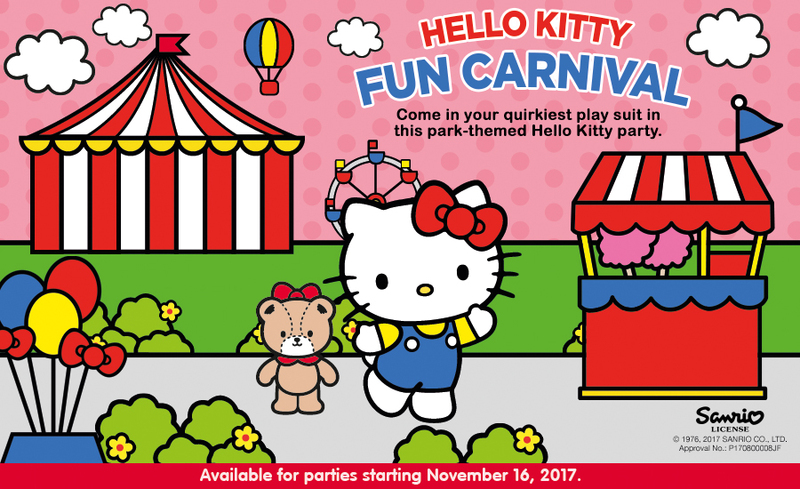 This new Jollibee party theme features the iconic Hello Kitty in a fun carnival. 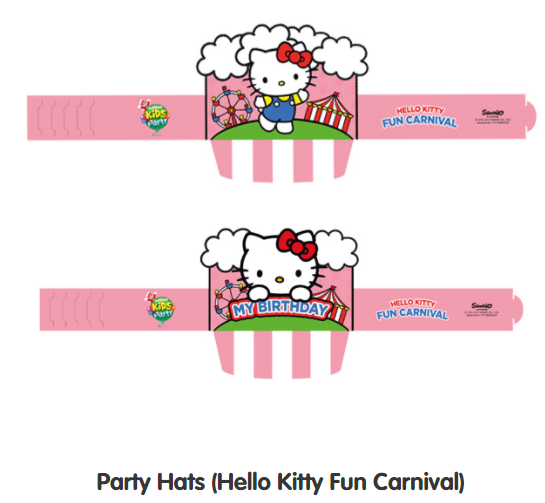 This new Jollibee party theme is called as Hello Kitty Fun Carnival. 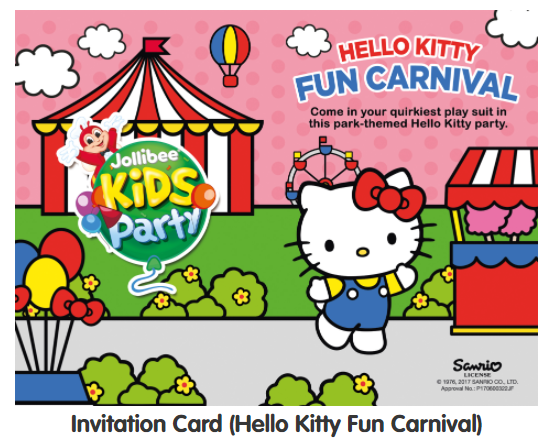 This is not the first time that Hello Kitty was featured in a Jollibee party theme. 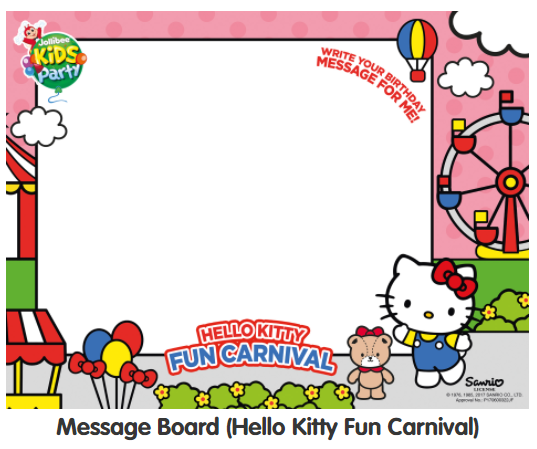 In fact, this new party theme just replaced the old Hello Kitty Jollibee party theme. 5. 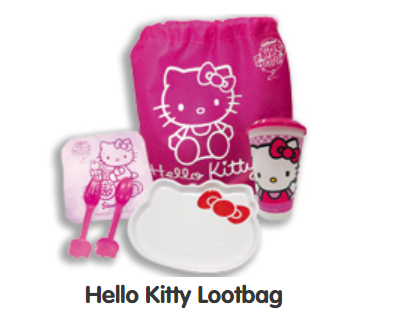 Hello Kitty loot bag. The message board costs 10 pesos. The party hat costs 4 pesos per piece while the tray liners cost 1 peso per piece. 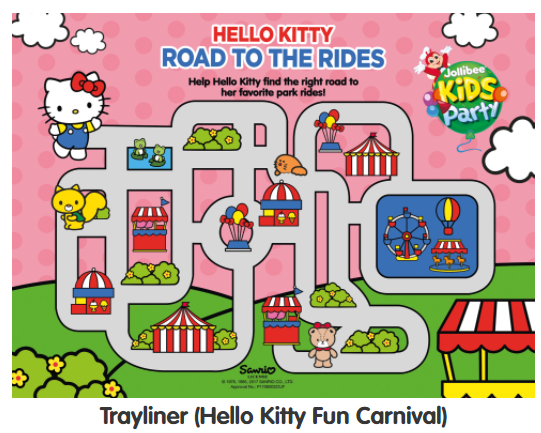 The invitation card is 1.50 pesos and the Hello Kitty loot bag is 60 pesos. 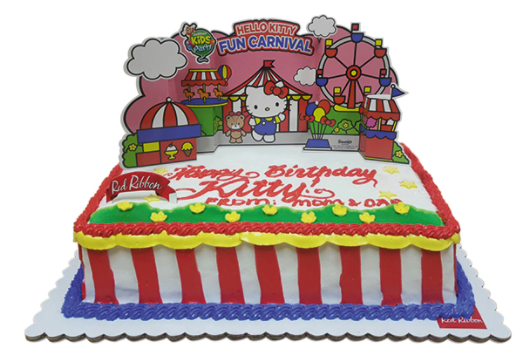 The cake for the Hello Kitty Fun Carnival party theme also features Hello Kitty. So if you are planning a Jollibee party and you want to have a carnival feel with Hello Kitty then I suggest that you choose the Hello Kitty Fun Carnival Jollibee party theme.